Thank you for visiting us here at www.ecclestonecycle.com. We're excited you came to check us out! We hope you find our web-site a valuable cycling Muskoka resource. 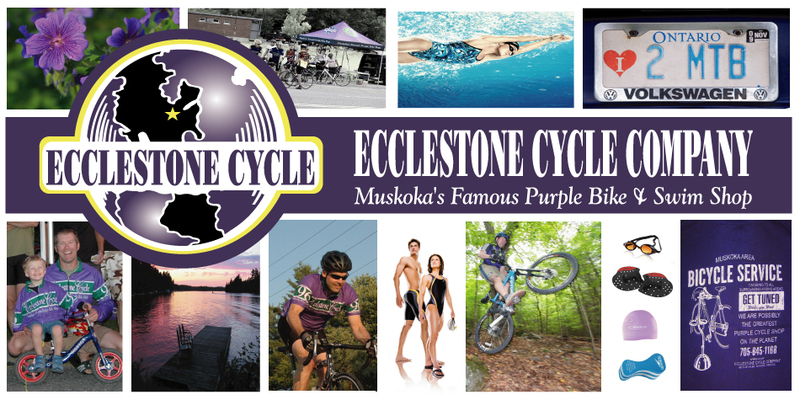 Our goal at Ecclestone Cycle is to provide outstanding customer service...so even if our web-site isn't quite up to date please feel free to contact our shop anytime at (705) 645-1166. We're here to help you enjoy cycling in Muskoka and beyond each and everyday. We're located in The Heart of Muskoka, in Bracebridge...just below the Falls. Come visit our shop, you can't miss it...it's the big PURPLE bike shop!